Having been an active member of The Atheist Republic for quite a number of years, and an inactive one for even longer, I began to wonder about many of the same things which led me to be an atheist. Why am I here? Who made this place? What is the purpose of this place? The main difference between the two instances being that one line of questioning could be definitively answered. Throughout my time here, I saw other members echo similar sentiments. Being the proactive, contributing member of our small society I am, I dedicated a portion of my time to unearth some of these mysteries. Though it should be common knowledge by now, many members are unaware of precisely who the admins of this page are. Even more members are unaware of the fact that our current group of admins didn’t found or create our beloved community. I won’t get too much into detail, regarding the admin identities, as they can be easily located at the top of Atheist Republic’s private group (on the pinned post). However, one of the admins is a member by the name of Armin Navabi. Armin is the individual responsible for the creation of The Atheist Republic, and our sometimes mysterious benefactor. Not much is known about him, and that is not a trait exclusive to the general populace of The Atheist Republic. Armin remains a mystery in all of his public circles, including those that govern his many endeavors, such as The Atheist Republic. Until now, Armin has preferred to remain relatively secretive regarding his personal life and information, and with good reasons. However, I was lucky (mostly persuasive) enough to snag a short interview with him. I would like to share my findings with all of you. Armin was born and raised in the Islamic Republic of Iran. He was indoctrinated quite thoroughly from birth in the Muslim tradition. He would pray regularly, five times a day, as all Muslims are mandated to. Growing up, he was afraid of all the things which good Muslims are supposed to be afraid of, hell, sin, the devil etc. The only thing which terrified him more than the thought of his own everlasting torment was the possibility of his mother being sent to hell. To his young mind this was a possibility since she didn’t pray regularly, five times a day as he did. During his formative years, Armin attended Muslim classes. In one such class he learned that according to Islam, if a boy were to perish prior to the age of 15, access to heaven would be guaranteed, regardless of any other extenuating circumstances. The same rule also applied to girls, however for them the cutoff age is 9. This thought stuck with Armin, and driven by the fear instilled in him by his religion it began to consume him. In his young mind, there it was. A surefire, absolute method to gain access to that which all Muslims strive for their entire lives. It confounded him to no end that none of his peers or elders had discovered such a wonderful and easy shortcut. He would not be one such sheep, he wouldn’t allow the joys of a full life to pull the wool over his young eyes. His future course of action became crystal clear. After making up his mind, stealing his resolve and a number of failed attempts, Armin finally launched himself from one of the higher windows in his school. This was his attempt to end his life, and guarantee his future ascendance. Needless to say, it didn’t work out quite as he had hoped. Armin survived his suicide attempt, but was ravaged by injury. Among the injuries he suffered were a broken wrist, two broken legs and an injured back. After the accident, Armin was confined to a wheelchair for the next seven months. Even after regaining permission to ambulate further, he still required months before he was able to travel with some semblance of independence. Wracked by more than the physical injuries of his failed suicide attempt, Armin was torn apart by the effect his actions had on his mother. No longer deluded by the temptation of an easy way to heaven, Armin dedicated himself even more so to his religion. He prayed more frequently, studied Islam in excruciating detail, attempted to learn all he could to be a better Muslim, and regularly begged his parents to follow suit. Nary a day passed when he wouldn’t request his parents to join him in his daily prayers. While his newfound dedication and studies did lead him to become more familiar with the intricacies of his religion, it also led to some rather unexpected and quite unwelcome thoughts. For every question his studies answered, ten more popped up in their stead. The more he studied, the more questions he had, and the more confused he became. He started to question God, God’s motives, and judgments. Why would a benevolent God send people to hell simply because they picked the wrong religion? Such novel questions did not come without a price. Every time Armin found himself questioning God, he felt the cold, creeping fingers of guilt grip his heart. Led by his thirst for knowledge, he convinced himself that studying the nature of his God could never be a reprehensible act. Emboldened by his newfound sense of purpose, he set out to study and learn all he could about religions, all of the religions, including some dead religions. He was fueled with curiosity as to why these religions were so evil that all of their followers were damned to eternal hellfire and brimstone. What did they get wrong? What were their major errors? The more he studied, the more he learned, the more and more he began to see the fallacies with all of these other religions, including his own. Through countless hours spent studying, researching and pondering, he began to see the greater possibility that religion could indeed have been a man-made concept. We are all atheists here. We’re convinced, and rightfully so, that there is no god. Religion is a joke, and the concept of hell and heaven is a tool used to control the masses. However, to a dedicated Muslim, just barely scraping the surface of what we all know to be true, this was quite overwhelming. Having been trained to fear all of the thoughts he had swimming in his head, Armin found himself tortured. His sleep was punctured by nightmares of the gates of hell opening for him. His days were drowned in visions of devils and demons out to punish him, get him back for his insolence. He was aware that what he was thinking was not only wrong, but downright evil. He was aware that God could see into his thoughts. He could see the disappointment God felt in him etched into the faces of his family and friends. He was depressed by the knowledge that he had let his best friend, his protector, his very creator down. However, no matter how horrid he felt, once the doubts about religion began to appear, they stuck. The lingering doubts regarding his creator blossomed, it inspired further research, and contemplation. The more he began to think of religion as a man-made concept, and not a divine statute, the stronger his doubt became. No longer able to abide the growing storm inside of him, Armin resolved to face the matter directly. God was real, and he was absolutely certain of this. He simply needed proof, actual, verifiable proof, not the mythos of a centuries old novel. He believed once he managed to locate this proof, his faith would be stronger than ever. 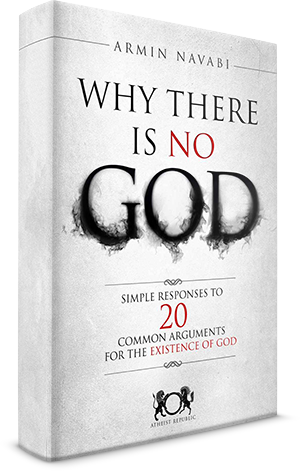 Failing to find proof, he settled on any logical reasoning for the existence of god. Once all of the logical explanations supporting god had been thoroughly debunked, he grew desperate. He prayed harder, begged God to help him. He wanted a sign, a message, anything, anything at all to assure himself of a divine presence. Of course, his prayers were never answered. All of this transpired during most of Armin’s relatively young life, and by the age of 18 he had lost all of his faith. He had come to the same conclusion as all of the rest of us. Like so many of us, he felt cheated, betrayed, taken advantage of. He felt angry, depressed, and broken. He had sacrificed so much, even almost his life, all for the sake of a fairytale. Of course, as it sometimes happens when leaving a lifelong religion, Armin had moments of doubt. “Perhaps I’m mistaken. Perhaps there’s something really wrong with me. Perhaps my fall broke more than my bones, perhaps it broke my mind. Am I really that arrogant, to think that I’ve managed to discover something that no one else has realized?” These were all common topics for self debate during this period of self discovery. Unlike us, who have this community to enjoy, Armin was the only atheist he knew. Being the proactive, go-getter he had always been, he wished to let more people know about his lack of belief, as well as the amazing journey which had led to this conclusion. Life in an Islamic state was becoming exceedingly lonely for a newly formed atheist. 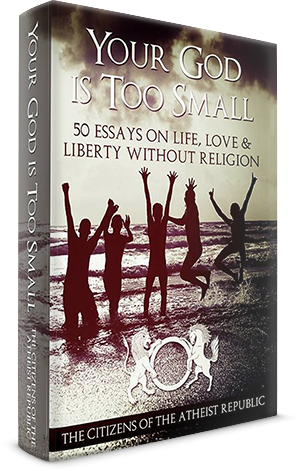 He yearned to share his experiences and thoughts, and took to Orkut (think Facebook pre-Facebook, for foreign countries) to create what would become the spiritual predecessor to The Atheist Republic. Beyond his initial fears, he was shocked and pleasantly surprised to see so many people join his community, and discuss the topic at hand. He was elated to find others like himself. The crazy notion of a nonexistent God certainly didn’t seem so crazy any more. Armin wished to reach more people, he wished to touch a larger audience. His intention wasn’t to convince people that God didn’t exist, or that religion is a lie. He simply wanted to find more atheists, discuss God and religion with any interested parties, but above all he wished for people to be made aware that atheism was a legitimate option. It was one of his life’s greatest unfairness that he wasn’t given a chance to choose, and he wished to ensure no one else would ever have to go through their formative years so blindly again. Unsatisfied with the current reach and exposure of his “Free yourself from religion” endeavor, (and largely spurred on by the popularity of Facebook and concurrent decline of Orkut) Armin moved on to the next phase in his development. In 2011 he started a page on Facebook. The main purpose of this page was to let everyone know about the many people who didn't believe in God, provide an invitation for them to explore these ideas if they were interested. But more than that, he wanted to create a community for atheists like himself, like you and me. He wanted us to feel less lonely and ashamed. He wanted us to know that not only are there others like us, but that there are people out there willing to listen, support and guide us. To this end, he created the private portion of The Atheist Republic. The rest, as I’m certain you’re all aware of, is what we have here now. The Atheist Republic means something either slightly or very different for each of us, and this is simply Armin’s take on the matter, as well as its inception. I’m certain your own experiences and thoughts regarding our community may be quite different. I just felt the need to share the creator’s point of view with all of you. At the conclusion of our interview, Armin had some parting thoughts, directly for our forum. “In the past three years, we have developed a website with a blog, news, and resources and grown a management team of over 50 people from all around the world. The Facebook page has grown to more than 900,000 fans and the private group to more than 23,000 members, which is now one of the most active private atheist communities online. Atheist Republic is a growing community of godless heathens who share views and ideas, help one another express their atheism, support one another, and discuss news, books and other atheist expressions. We give every atheist a chance to share their views with our community or raise awareness about those things which matter to them. Atheist Republic is a reflection of the views and ideas of the community as a whole. That's why it's called a republic. The entire community, all our Facebook fans, all of the people who engage with AR through the website, all direct the course of the community. It's clear that atheists care. A lot of atheists want to find a way to help, to make a difference. The barriers of communication are breaking down, and our new more transparent world is becoming a much more difficult environment for religion to spread and control. More and more people are being exposed to the fact that many atheists are moral, see true beauty in the world and lead rich, meaningful lives.